Lucky Star, which is now in its fourth year, is a festive competition that runs from December 1st – January 4th and encourages residents to make a wish however big or small and then display it on a Christmas or wish tree within the home. In the New Year, Hallmark Care Homes Managing Director, Ram Goyal will review the wishes and will make at least one wish come true from each of our 18 homes across England and Wales. Wishes that were granted from last year’s competition include; taking a resident to meet an elephant for the very first time and enabling a resident and ex-engineer to return to Dungeness B power station which he help build over 40 years ago. 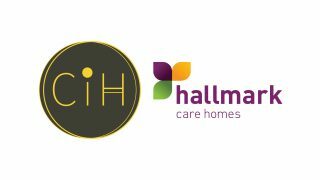 Hallmark Care Homes, Managing Director, Ram Goyal said: “We decided to launch this competition, because we wanted to give our residents an opportunity to have something or do something they thought they’d never get a chance to do again. It could be anything from seeing their favourite show in the West End to visiting their place of birth or a long lost relative. It’s also a great reminiscence activity, particularly for our residents who live with dementia. 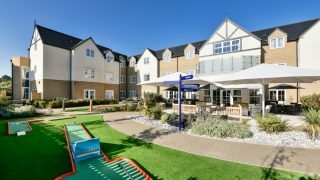 To find out more about our Lucky Star competition, please contact the Lifestyle’s Leader in your nearest Hallmark care home.